That was from Life magazine in 1970. 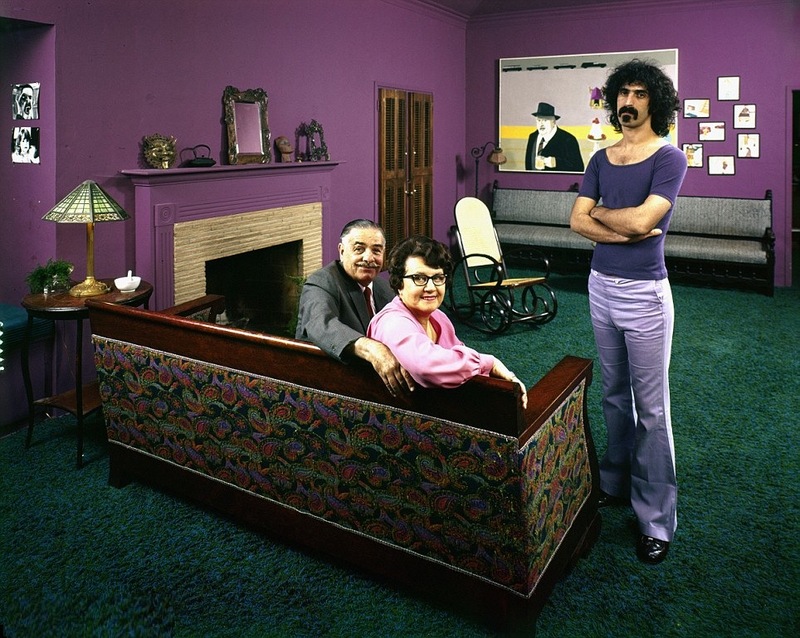 It was a photo-essay of rock stars at home with their parents. It also included Grace Slick, Elton John, Richie Havens, Joe Cocker, and I think Eric Clapton. I cried like a baby when that issue came out. Doesn't anyone recognize the painting on the wall ?? Alice Cooper 1st album "Pretties For You"
I wonder if Gail still has it. 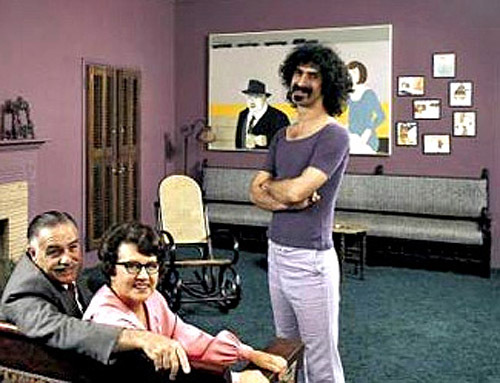 I have the book Cosmik Debris - The Collected History and Improvisations of Frank Zappa by Greg Russo and on the back cover there's another picture from that same session. 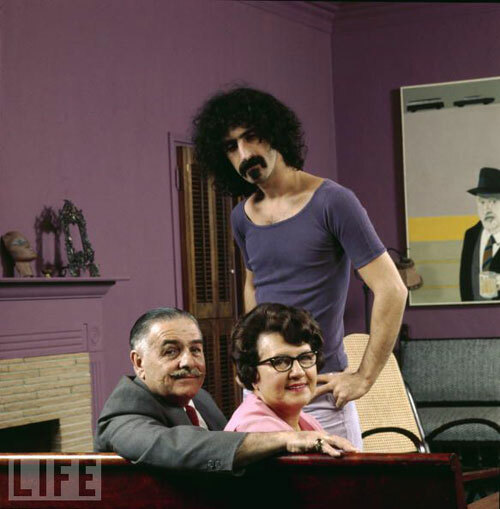 The only difference is Zappa is holding a cat and he looks less annoyed. I can't even find the unrevised edition of the book online right now to show a picture. All I found was a revised edition with a different cover. Is that original book rare or something? I have to admit that i always thought it was the home of the parents where they did the photos.